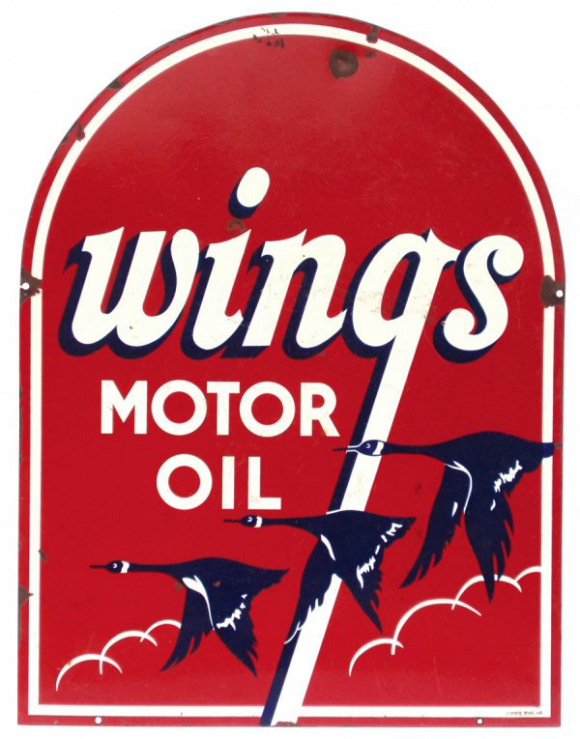 This is a die-cut Wings Motor Oil porcelain sign. This particular Wings Motor Oil sign is red with white text. It reads, “Wings Motor Oil” and features three black geese at the bottom of the sign.